Retail / Restaurant merchant account is designed for merchants who do a majority of their credit card processing in their retail storefront. 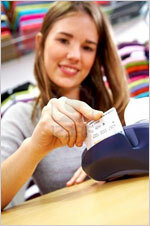 The majority of credit card processing takes place in person and the customer's credit card is swiped. Our retail / restaurant merchant solutions offer Lower Processing Rates because the majority of sales take place face-to-face. We also provide lower rates as our credit card processing solutions are compliant with card processing standards and rules. We strive to provide processing solutions to fit the equipment needs that are presented to us. 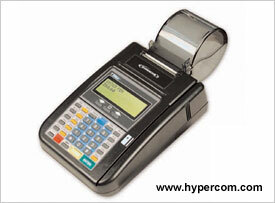 Open your merchant account now. Custom gift cards are the best way to sell gift cards. You get great looking cards that you design and you get real-time web reporting, and we provide Free Gift Card Processing. Get your custome design gift cards now! 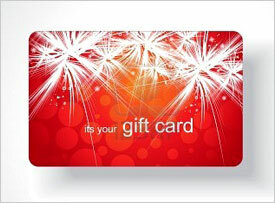 GMS Gift Cards have the same dimensions as a standard credit card and are made of a magstripe on 30mil PVC plastic. 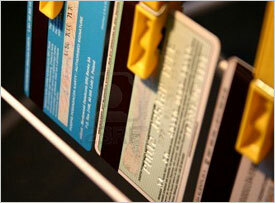 The cards are encoded in the magnetic strip with the gift card number and security data. Purchase or upgrade equipment, open a new location, fund marketing campaign, pay taxes,cover payroll, or cover any unexpected business expenses. We can help you provide your business with a merchant cash advance against future credit/debit card sales of up to $200,000 per business location. Easy and quick with minimal paperwork. Approval As Fast As 24 Hours!